Want to know if a person has changed jobs? The most basic way is to check someone's LinkedIn profile or, if you are a contact, check your news feed. However, both are hit or miss, depending on you manually checking. It does not scale well nor is it efficient. 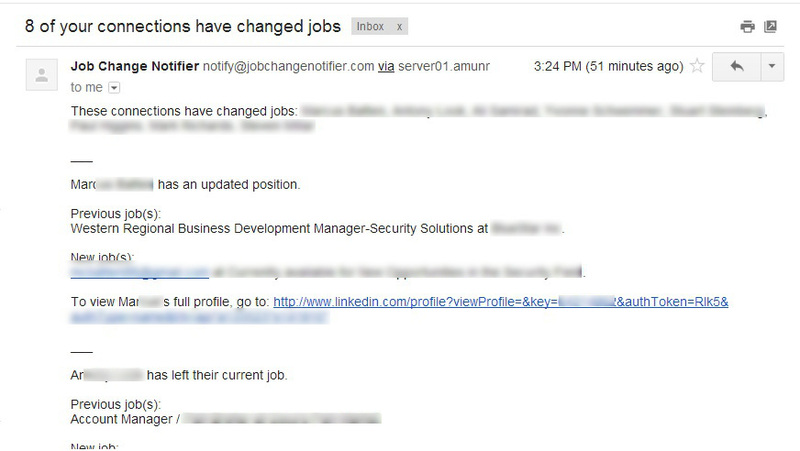 Thankfully there is a plugin that does it for you automatically, called JobChangeNotifier. Only works with your LinkedIn connections. If you add new connections later, you need to update who you want to track. I think sales people will find the most value from it as they can find out which partners or customers are on the move. I have used this for over a year and found it to be very valuable, especially when you see patterns (i.e., why have so many people left Intransa, etc. ).